hd01:00Jungle mist time-lapse. 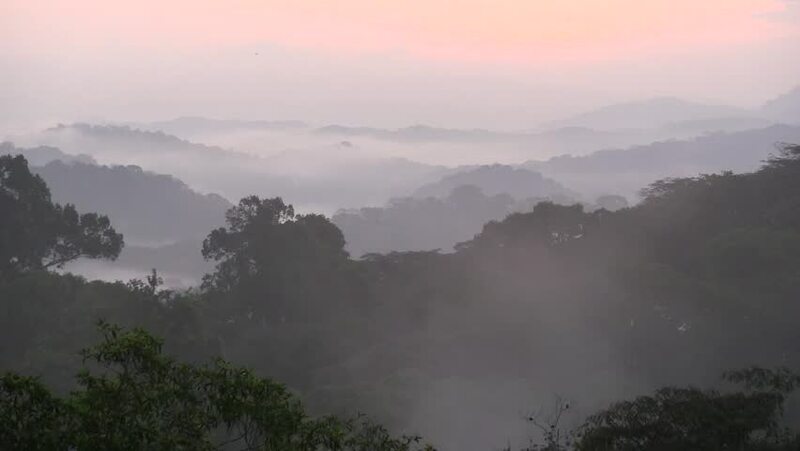 Looking over the mountainous jungle canopy, mist rises and quickly disperses allowing the blue sky to begin to show. A peaceful and awe inspiring time-lapse scene. hd00:12Autumn forest during mist and rain, timelapse. 4k00:25Landscape of Morning Mist with Mountain Layer at north of Thailand. Aerial View. Flying over the high mountains in beautiful clouds . Aerial video shot.